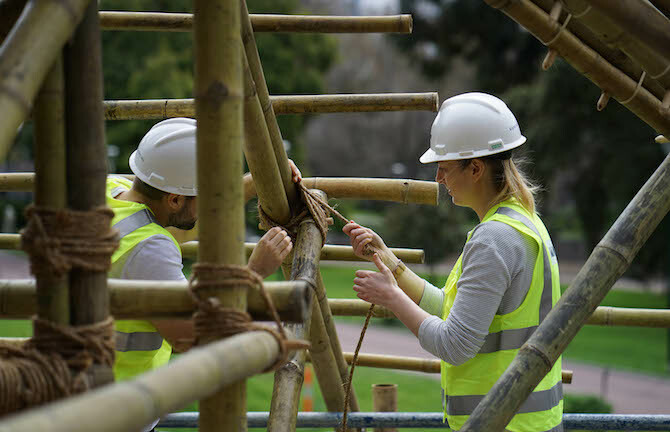 A sunny Sunday in spring was perfect for this very special workshop, learning the ropes (literally!) 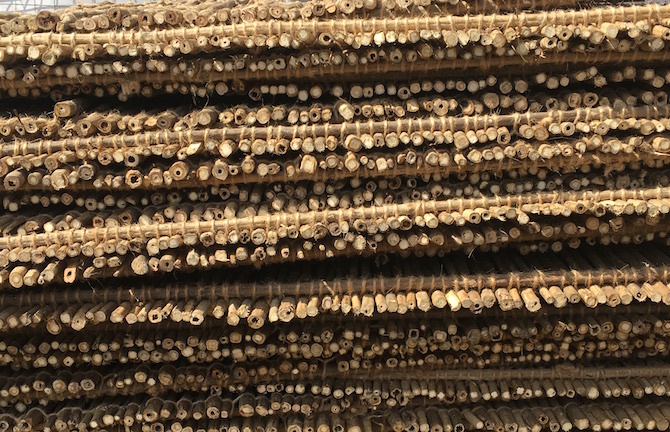 on how to build with bamboo. Many hands make light work. Hands big and small, young and old, in fact—we recently hosted a rope lashing workshop with special help from Scouts Victoria, architects and designers from Emerging Architects + Graduates Network, Australian Institute of Architects, Practise Studio Practise and some new friends—maybe you were there, too! Learning by way of lore, we explored handmade, traditional techniques—there were clove hitches and square lashings galore! Scroll on for our gallery of photography by John Betts and Alan Weedon. 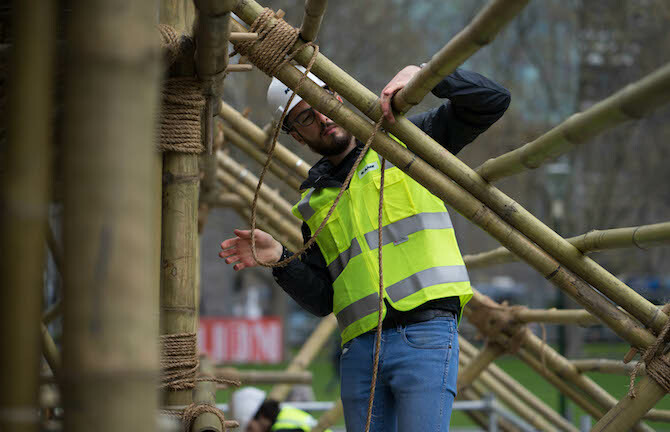 It’s high-vis and hard hats on-site, especially when clambering in amongst the intricate bamboo structure and beautiful materiality of MPavilion 2016. 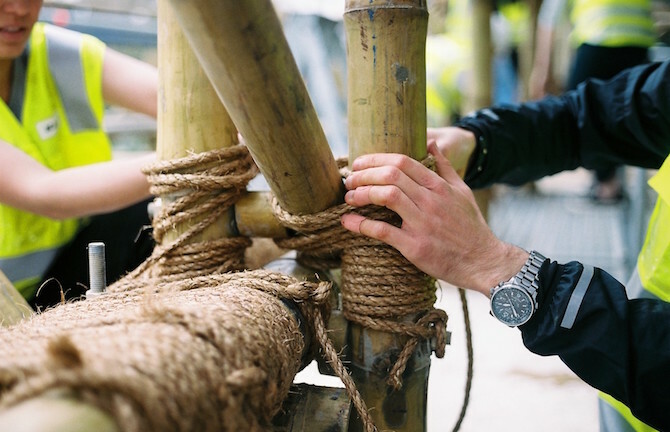 The traditional rope techniques used across the structure start with a simple knot: a clove hitch. After that it is square lashings, and lots of them. 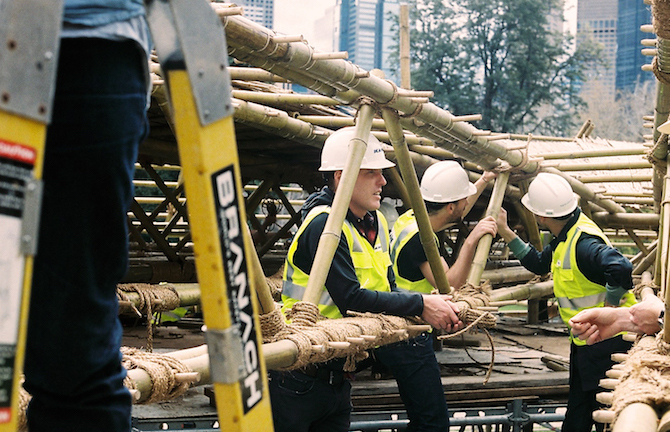 Ethan is one of MPavilion’s carpenters for this year. 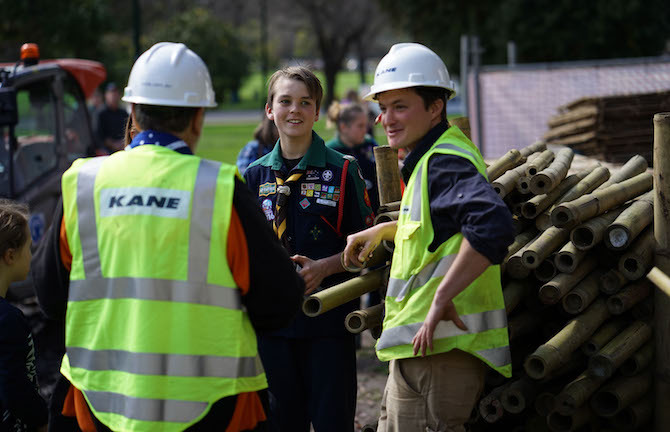 Here he shares a laugh with a scout and some members of the build team. 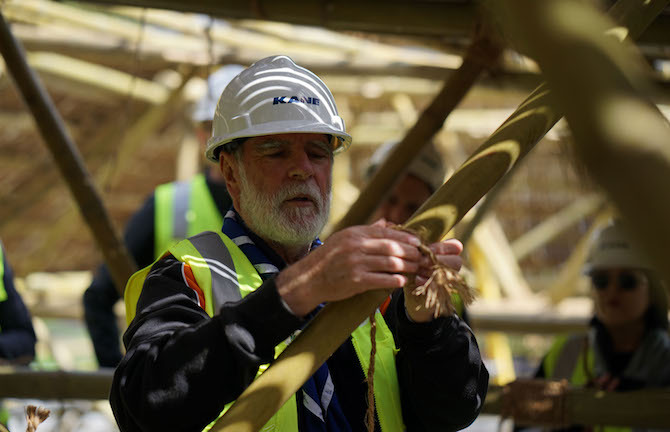 Before everyone got to lashing with Manilla rope, Peter from Scouts Victoria introduced everyone to clove hitches and square lashings. 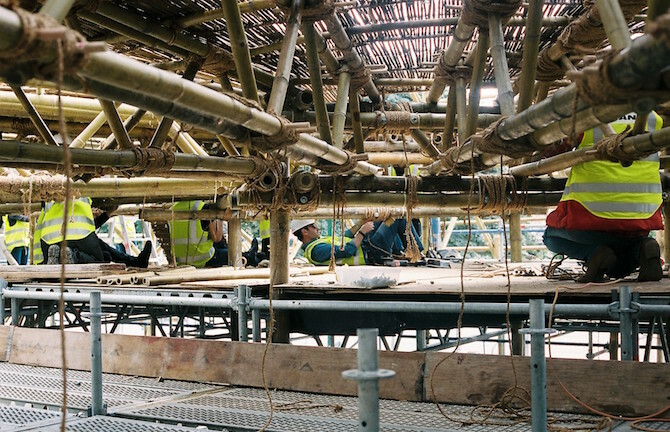 There are hundreds of bamboo intersections across the entire MPavilion. Racks of karvi panel lay in wait before being hoisted-up to form the beautiful roof. See you in the gardens from 5 October!